"Dr. A is the best most articulate and caring plastic surgeon ever!" "I am so glad to have found a doctor I can trust..he is amazing and so knowledgeable..."
"...I more than highly recommend the office of Joel Aronowitz,MD." "I had a great experience getting some Coolsculpting done with Dr. Aronowitz." "Excellent Doctor and excellent staff ...Thank you so much." "He is the best Doctor I have had..The staff is understanding and always listens." "Dr. Aronowitz and his staff are caring, efficient and overall A-1. ... highly recommend!" "The doctor is friendly, professional in manner, and on time. I would highly recommend.."
"Dr. Aronowitz is very personable and careful to respond to any questions." "Dr. Aronowitz is extremely knowledgeable and completely forthright." "...thank you for giving me my health back and my breast... brilliant Plastic Surgeons !" 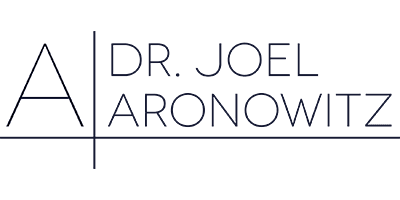 Dr. Joel Aronowitz has been one of the most reputable plastic surgeons of Beverly Hills, California for the past 30 years. He specializes in a variety of cosmetic procedures including scar removal, thigh lifts, face lifts, tummy tucks, and breast augmentations. Dr. Aronowitz incorporates innovative stem cell treatments into his procedures to provide his patients with the best possible experience. His professional ingenuity for solving the most complex plastic surgery problems is why he’s considered a “doctor’s doctor”—a go-to expert and surgeon for an informed and discerning clientele. As a leading clinical researcher in the use of stem cell technology for cosmetic rejuvenation and reconstruction, Dr. Aronowitz is frequently invited to speak at professional conferences across the globe. Dr. Aronowitz’s professional philosophy emphasizes using the body’s own tissues and healing processes to regenerate damaged areas. His practice encompasses most areas of cosmetic and reconstructive plastic surgery including breast surgery, facelift, and revision surgery. He is renowned for developing new regeneration methods that safely use non-embryonic fat stem cells to avoid the need for invasive surgery and foreign implants. All of Dr. Aronowitz’s clinical research is conducted with the highest standards at his fully equipped University Stem Cell Center. In his free time, Dr. Aronowitz is a regular on the local tennis courts, though not much of a threat to the neighborhood competition. Dr. Aronowitz and his wife of 35 years are involved in local schools and museums; they enjoy traveling the globe together. Lisa is our surgical coordinator and office director. Her highest priority is to ensure our patients have a positive experience during their visit. She will make you feel welcomed and comfortable during your visit with Dr. Aronowitz. Lisa has 20 years of experience working in cosmetic and reconstructive surgery and has vast knowledge in any of the surgical procedures you might be considering. During your consultation she will discuss and review all your questions regarding what to expect from surgery, the healing process, aftercare options, your follow-up care and she will prepare your financial fee quotation. If you need hotel information while visiting Los Angeles, she can help you plan for your visit, along with any other needs you have, to make sure you are well informed and fully prepared for surgery. Lisa understands the perspective of Dr. Aronowitz’s patients and has become an expert on the different angles of cosmetic surgery. Her understanding of how the surgery can affect a person physically, emotionally and mentally has proven to help patients feel confident in moving forward with their decision to undergo certain procedures. Lisa believes that quality care is an essential aspect of the cosmetic surgery experience. She has put together a knowledgeable and dedicated staff to ensure the very best experience for you. Tower Outpatient Surgery Center is a licensed and fully accredited surgical facility conveniently located within the Cedars-Sinai Medical Towers. Dedicated to surgical excellence, our team of surgeons, nurses, and administrative staff aim to provide the finest level of patient satisfaction and utmost degree of safety and professionalism. Our state-of-the-art surgical facility has been in operation for over twenty years and maintains an impeccable standard for outpatient surgical procedures. We work with all insurance companies as an out of network provider. As a financing options we take Care Credit. Please call our office if you have any questions. "​Dear Dr. Aronowitz, Thank you for making me whole and “beautiful” again. Thank you for caring and taking good care of me." "Dear Dr. Aronowitz, Just a small thanks for making me “prettier!” Much appreciated." "You have not seen me for some time, but I want you to know that my ‘scar’ turned out so much better after your persistent and talented work. Thank you! You are genius." "Dear Dr. Aronowitz, Thank you for meeting me in the office the day after Thanksgiving, for expertly stitching me up, and for taking such good care of me. " "Thank you for the superb job you did with my surgery. I’m extremely happy with the results and I won’t hesitate to recommend you..."
"Hats off to a truly wonderful, skilled, and humble surgeon. I have had many compliments since I returned home. I am healing nicely. I am very grateful to you. " "You really made me happy! Thank you...for my new and improved figure.My twins are thrilled to have a hot mommy!" "I want to thank all of you for making a not so pleasant situation not only doable but doable with smiles and kindness from everyone there." "It was a wonderful healing experience. Maybe its just your job, as you say. If your job is to heal the spirit of the broken hearted, you’re right. You rock! Thanks." "I like the doctor very much. he was very attentive and answered all my questions; He was really helpful with what shoes I needed and my feet." "Everyone is very welcoming, responsive and accommodating...I am very pleased with the outcome." "I am truly grateful for everything that he did to correct my problem. I couldn’t be happier." "There are no words to express my gratitude , my appreciation for , Dr. Joel Aronowitz..literally saved my life "
"Dr Aronowitz is not only very skilled, but very professional, very gentle, a warm person who is really “a l écoute “It s a pleasure to go to his office..."
"Dr. Aronowitz is the best surgeon hands down. Thank you to you and your staff for the best care ever."